We usually saw a PVC Vertical Blinds mostly in offices, but did you know that you can actually use it in your comfort room as your window covering? Our client from Quezon City having a hard time in choosing what kind of window coverings that will perfectly fit for her bathroom. She searched from the internet to find different kinds of window coverings. 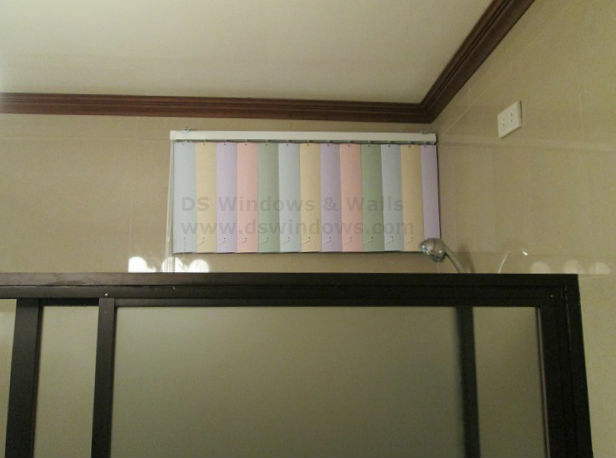 Firstly, she thought that PVC Vertical blinds are only for the office, but she found out that it can be customized in size and can combine different colors in one set, perfect for her bathroom small window to make it more attractive. In decorating your home, bathroom is one the most essential part of the house that is why you have to give it more priority. Bathroom is used for our personal hygiene, which is vital in everyday living. 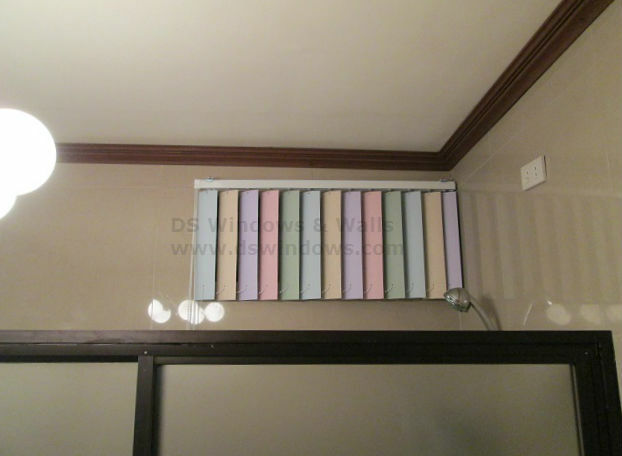 You don’t have to buy expensive window cover, just an attractive yet inexpensive one like PVC Vertical Blinds. Through using PVC Vertical Blinds, you don’t need to waste too much money for your window coverings in the bathroom. PVC Vertical are easy to clean, perfect for bathroom and can last in a long period of time. Same as other window blinds, PVC Vertical has a slats, which you can control for your privacy once you are inside the bathroom. Multi-colored PVC Vertical Blinds are not only attractive but can also add positive aura in a room, uplifting ones good mood. In DS Windows and Walls, you can choose the best window cover for your home. If interested in reviewing any of our products, don’t hesitate to call us at (02) 893-1373/ (02) 403-3262 / 0916-311-3909 or email us at inquiry@dswindows.com. We can visit your home to estimate your windows for FREE if within METRO MANILA. You may also visit our stores located at 2nd level Pacific Mall Lucena City, 3rd Level Robinsons Metro East, Pasig City and 4th Level Waltermart, Makati City. You may also browse our Facebook Page and like us at https://www.facebook.com/windowblindsphilippines.